At Urban Child Academy, compassionate teaching takes place in an authentic environment. Your child is valued as an individual and acquires life long skills that lay the foundation for future schooling. We believe in the unique way each child views the world and are committed to their development by offering engaging experiences. As a preschool focused on early childhood development rather than simply daycare, UCA fosters an academic climate of scholarship and learning for both children and faculty. Many of our teachers hold advanced degrees in education and are continually expanding their practical experience as well as their academic credentials. Graduate students are often invited into our classrooms to help develop new learning methods. UCA has developed relationships with several of Chicago's best universities to ensure the recruitment of high quality educators and curriculum specialists. Low student-teacher ratios allow for differentiation of instruction and activities to each student's individual skills, abilities, and interests across the spectrum of development. Through excellence in teaching and developing best practices, our faculty helps each child build a foundation for future academic success and, more importantly, for life. We focus on educating each child as a whole --- intellectually, socially, emotionally and physically. The classroom is viewed as an academic playground that can be explored by students and teachers alike. We believe that a diverse range of educational theories and philosophies offer important tools to assist us in helping your child learn and grow. Cognitive constructivism, according to Jean Piaget, holds that knowledge is constructed by learners and developed through experience. Like building blocks that build one upon another, we want to enable your child to test new ideas, elaborate on the information presented, solve the puzzles of everyday life, construct the knowledge needed to function in their world and form a reality base for themselves. Lev Vygotsky believed that children learn from the people around them and their social and cultural worlds. By working individually with each student, we can assess his or her skills and teach accordingly. We believe that learning is enhanced when children work collaboratively with their teachers and fellow students. Our philosophy, therefore, can be described in many ways: experiential, exploratory, cognitive, social and cultural constructivist, integrated, a gateway to play --- all based on solid educational principles of early childhood learning. UCA relies on collaborative curriculum in order to harness its students' natural curiosities while exceeding state educational standards. Teachers and directors observe and record daily interactions in the classroom. They then collaborate with one another in order to design individualized lesson plans that are reflective of the Illinois Early Learning and Development Standards and when appropriate the Early Learning Standards for Kindergarten. Investigation topics are driven by students' individual and group interests. Activities are tailored to Illinois standards and incorporate each developmental area: social, emotional, physical and cognitive. Low student-teacher ratios allow differentiated instruction and activities to better match each student's individual skills, abilities, and interests across the wide spectrum of development. Lesson plans are developed with great purpose. Experiences are designed by our teachers to challenge children's thinking and involve them in the problem solving adventure. We strive to make everything an exploration filled with a sense of wonder and excitement rooted in developmentally appropriate practice. Our classrooms continually transform depending on our learning themes and our students. Instead of skills-based learning, our emergent curriculum method is based on targeting emerging cognitive and developmental milestones outlined in the Illinois Early Learning and Development Standards. Emergent curriculum refers to the recurring cycle of selecting investigations reflective of student's interests, then documenting children's reactions and responses throughout the experience. Urban Child Academy teachers brainstorm concrete topics to inspire and sustain our student's interests and support their learning and cognitive development. Throughout the process, opportunities for various projects and lessons emerge, resulting in a rich classroom experience that leaves UCA graduates with the necessary tools to continue making their own discoveries. At Urban Child, learning comes when our students explore freely and make meaning for themselves! In order for this to be accomplished, our teachers have to be very perceptive about planning activities and creating an environment that allows a spark to grow into a passion. At its core, the UCA classroom is designed to be a safe, cooperative, creative realm where children are invited to actively pursue curiosities, interact positively with one another and experience authentic discoveries. Within each of our classrooms, a central gathering place for Morning Meetings and large group discussion or instruction is surrounded by learning areas dedicated to each facet of a UCA student's development. These include a writing center, art center, dramatic play area, building block station, library with reading nook and much more. Our love of literacy is evident as you walk directly into our classroom libraries and see our large collection of favorite children’s books. All of the learning areas in our classrooms are filled with a multitude of manipulatives and materials to facilitate children's work and play. Materials are kept at the children's level to encourage independence, decision making, and creativity. The creativity of our students engulfs you as you look around our walls full of artwork. At UCA, we focus on the process not the product, so no two pieces of artwork are alike, and each is highly valued. Make sure to check out the classroom documentation boards located in every classroom. These boards tell the story of our classroom journey. Through images, words, drawings, maps and souvenirs from neighborhood expeditions, our families are invited to see what we are discovering. The documentation boards allow us to create a record of our experiences and offer a space to turn our questions into concepts. The classroom is organized around interest areas called project or learning centers. These defined centers allow children to play and explore materials independently, with a small group, or with the guidance of a teacher. Learning areas are strategically placed next to each other to encourage collaborative play scenarios to occur between two areas during play time. By integrating communication, exploration and play across varied learning centers, we develop skills that will eventually lead to proficiency in language, reading, writing, math and science. Young children find security in knowing what will happen and when. They benefit from a schedule that is familiar and predictable, but not rigid. The schedule offers balance and variety. There are blocks of time set aside for independent work such as drawing and puzzles. Children have opportunities to initiate activities such as building a tower with blocks, reading books or manipulating materials at the sensory station. There is also time set aside for group experiences led by a teacher such as learning a new song, maneuvering an obstacle course or listening to a story. Arrival time is key to starting the day right; children separate from their families and begin socializing with their peers. Morning Meeting provides children with a more structured opportunity to develop positive peer relationships. During this whole group time of the day, we nurture our classroom community. Each child is warmly greeted and given an opportunity to greet each of their peers. At Morning Meeting we share stories, discuss the weather and update the calendar. We also discuss our day, plan the direction of our activities, and make a plan for our outdoor time (should we take the camera? what toys should we bring?). Children have the opportunity to explore various facets of early literacy during Morning Meeting. We play with letter sounds when we sing songs or read a story. 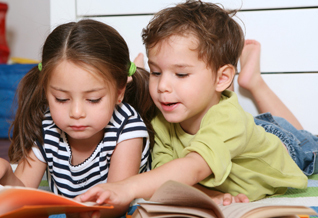 This allows children ample exposures to phonemic awareness (the ability to play and manipulate sounds in language) all of which are fundamental precursors to early reading. Days in a UCA classroom are filled with familiar structure, predictable schedules and smooth transitions, which remain adaptable to our students needs. Our daily routines support children’s growth in all developmental areas (physical, cognitive, social and emotional). Free play is valuable but often misunderstood part of our day. It serves as a time for our students to use their imaginations, explore materials, and engage with peers. Our students enjoy starting their day with making choices about their play. Whether building a city skyline out of blocks, dressing up as a firefighter and rushing out to an emergency, or cooking some breakfast in the Dramatic Play kitchen, children are busy learning through their play. In addition to being able to practice making decisions and using their imaginations at this time, our students are able to explore peer relationships, practice sharing and taking turns, and are presented with many opportunities to be problem solvers. Genuine free play is beneficial to all areas of child development. Project Time is another essential piece to our students learning at UCA. During this time, purposefully-planned small group learning activities are going on throughout the classroom. Children are able to make choices about which activities they will participate in, although they are encouraged to visit all of them. Project time activities embrace all academic areas: literacy, math, science, fine motor, gross motor and music. Some small group activities during Project Time are teacher led while others are independent. 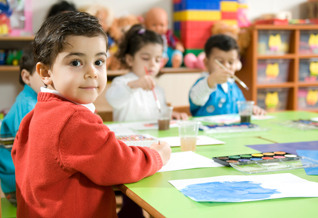 All activities are developmentally appropriate and are aligned with the Illinois Early Learning and Development Standards. The purpose of our Project Time activities are to provide children with an opportunity to practice academic skills, be creative, and learn with and from a small group of children. Project Time activities are planned with monthly investigations and student interests in mind. We encourage involvement from families and promote continued learning at home. To support your child's newly formed knowledge, be familiar with classroom routines, organization and expectations. Talk with your child about school and ask what centers, experiments and materials they enjoy exploring. You will find that you have several of the same kinds of materials at home, where you can recreate similar experiences. One of our primary methods of bridging the connection between school and home are private student pages in our online Urban Journal. Each day, teachers upload pictures and notes specific to your child: what did he/she have for lunch? how long was nap? what new activities did he/she try? The Urban Journal is also home to a newsletter and calendar feature where UCA administration shares articles and findings relevant to the field of Early Childhood, as well as notifications of upcoming events and school closures.